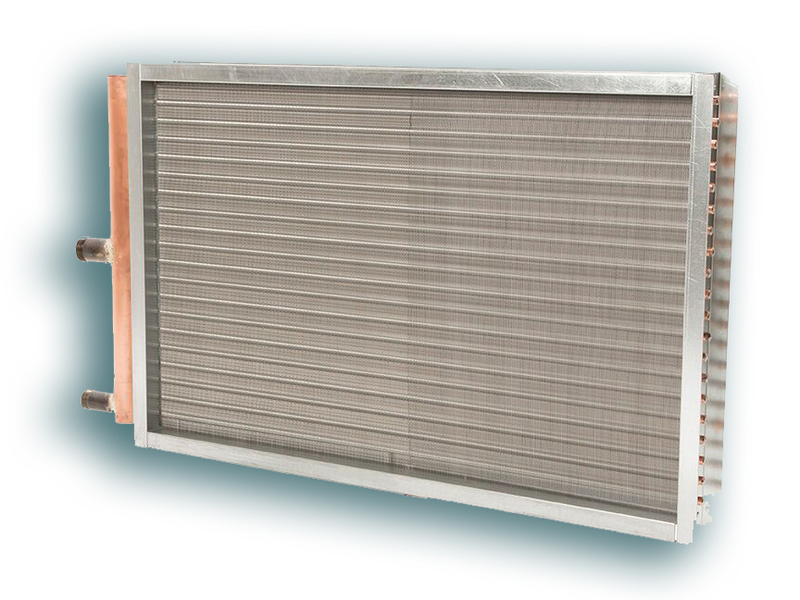 Steam distributing coils are also referred to as “non-freeze” steam (a misnomer! ), tube-within-a-tube, and IDT (inner distributing tube). Steam distributing coils do not have any return bends. Where the return bends would normally be located, you will find a stub end of the tube. It might be crimped, capped, or sealed in another way. When you look at a steam distributing coil that has supply and return connections on the same side, you will only see one header and the supply connection will be directly above the return connection (if the header is copper or steel).